Today I am sharing an awesome recipe for your crock-pot the WHOLE family will love! 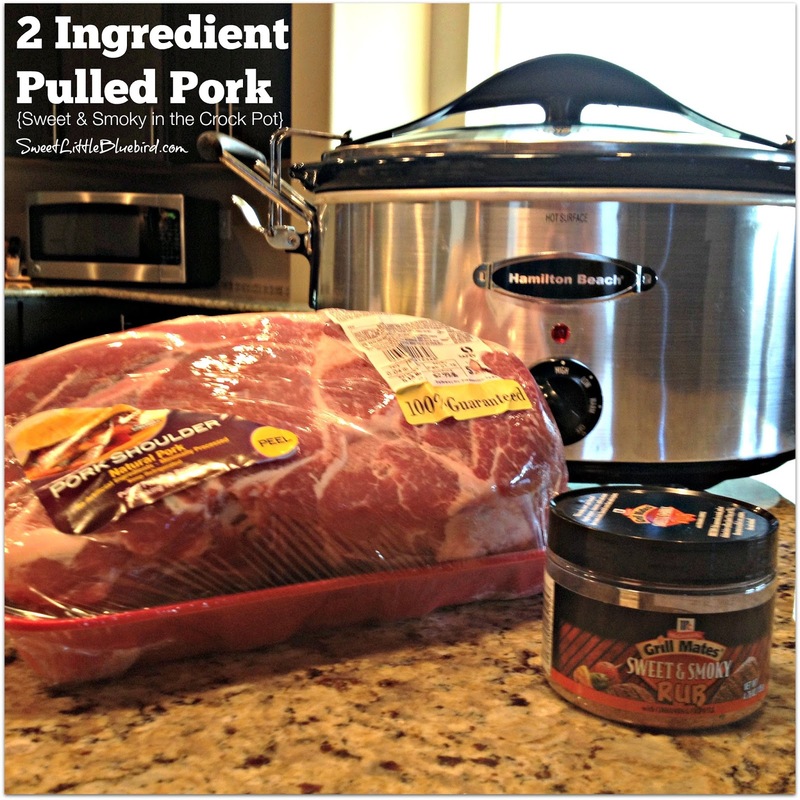 Sweet and Smoky Pulled Pork made in the Crock-Pot! So darn good. UPDATE: This pulled pork has become a staple in my home and is on regular rotation. It’s a new family favorite, requested on a regular basis. I love that it’s so simple to make and ALWAYS gets rave reviews. Big shout-out to my sister for this awesome recipe share. I am not affiliated with McCormick – this is just a really good rub and makes the best pulled pork in your crock pot. My sister made this meal last week on a day busy with football practices. I could not believe how easy it was to throw together. Only two ingredients to make the pork, and oh so good. My sister’s boys cheered when she told them what she was making for dinner. CHEERED! My picky four and nine year old nephews devoured their dinner and kept going back for more. Both the boys ate three sandwiches! 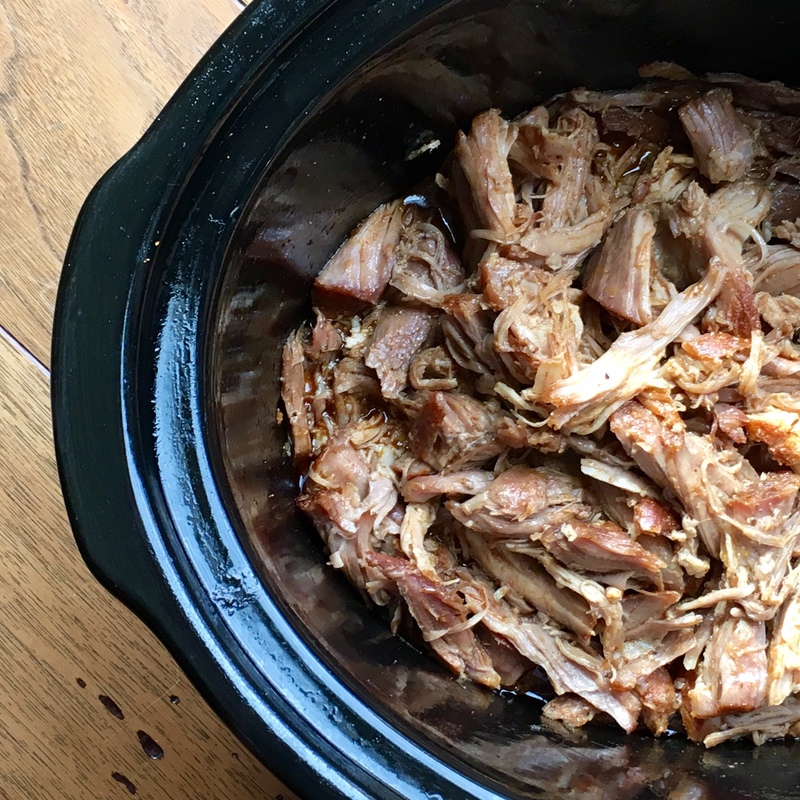 This pulled pork is so simple to make and so good, I called my husband and gave him the recipe over the phone (I’m still in Alaska). He made it the very next day for our girls and two of their friends…it was a major hit, they loved it. The Sweet & Smoky Rub on the pork is so wonderful, it doesn’t need any bbq sauce. My sister and I love pulled pork with Cranberry Apple Coleslaw (recipe below). The rest of the family just piles the pork on a roll and eat it plain or topped with bbq sauce. 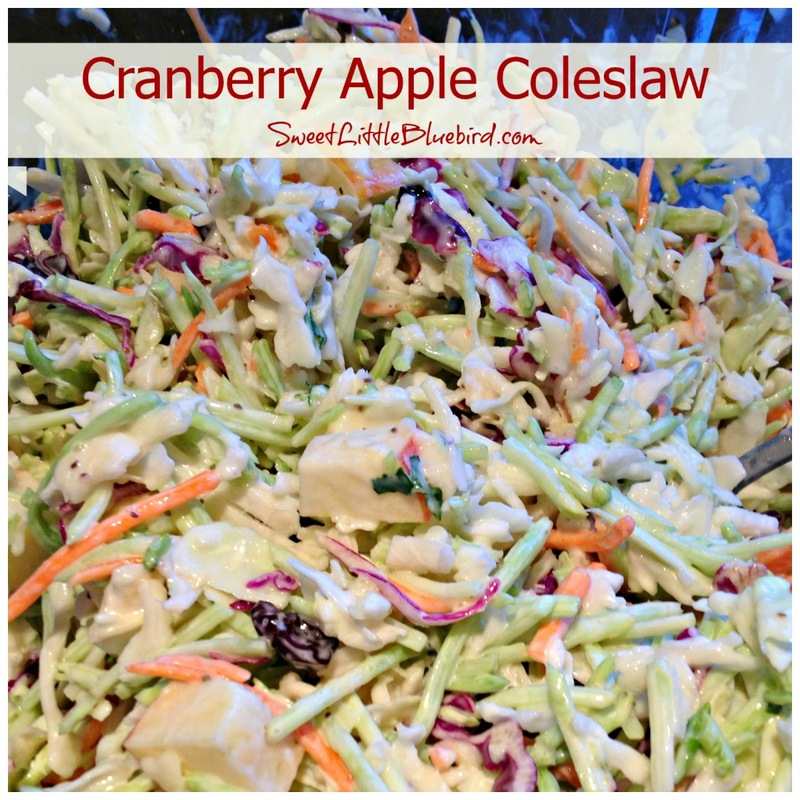 Coleslaw (optional) Cranberry Apple Coleslaw recipe is below. Lightly spray crock-pot with non-stick cooking spray. 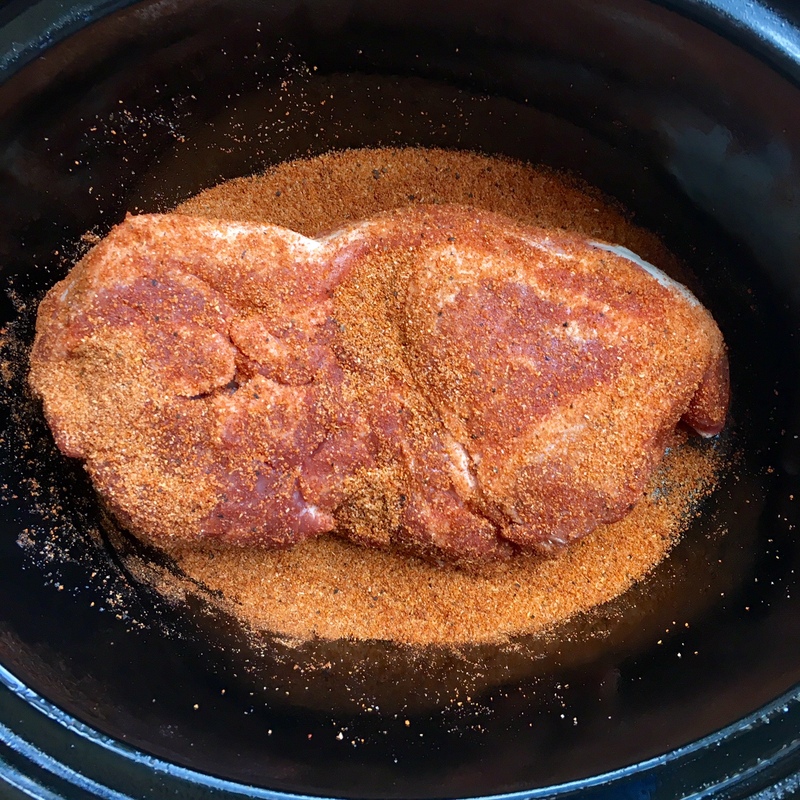 Sprinkle some of the Sweet & Smoky Rub on the bottom of the crock-pot, then place the Pork Shoulder on top. Generously coat the remainder of the pork shoulder with seasoning. My sister is heavy handed with the seasoning and uses about 1/2 to 3/4 of the container. Be sure to coat the entire piece of pork. Cook on low for 7 to 8 hours, or on high for 5 to 6 hours. Each crock-pot cooks differently, so adjust time accordingly. The pork is ready when it easily pulls apart. When done, drain all excess liquid from crock-pot and pull the pork into bite size pieces using two forks. Discard any pieces of unwanted fat. Place on your favorite rolls. If desired, top with your favorite BBQ sauce and/or coleslaw…ENJOY! I highly recommend using Marzetti® Original Slaw Dressing or making your own copycat version. The sweet and tangy dressing goes perfectly with the ingredients. Go here, Almost Marzetti’s Slaw Dressing, for a great copycat recipe made with light mayonnaise, sugar, white vinegar and yellow mustard. 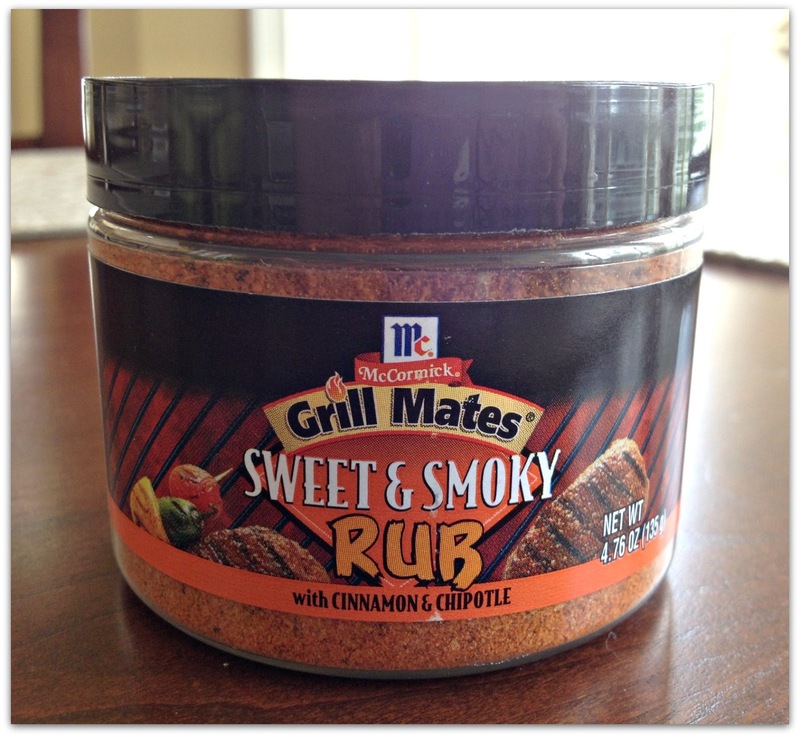 After searching for the McCormick’s Grill Mates, I just found this rub at Walmart in a 5.37 oz. shaker bottle (it looks more like a regular spice bottle). It says “New Look, same great FLAVOR” on the label. I hope this helps anyone else who is having trouble finding it. I have it in the slow cooker right now for to ight’s dinner! I make a similar pulled pork and put the rub on overnight and then add some liquid smoke before cooking as well which brings out a nice flavor. This has become a favorite at the annual block party too! Patty, I got my pork loin roast at Harris Teeter (if you have one around).. Had a buy one get one free! Put them in the freezer for unexpected times. Well, 2 months later, we had a death of a close friend. I threw one in the crockpot and also scrubbed and added small red potatoes/carrots. Added the sweet/smokey. That evening I pulled it apart and then added the sauce with the potatoes/carrots to the bowl. The family was so sweet and grateful. They were really grateful for it not being some more fried chicken.!!! LOL I tasted it before it left my home and it was really delicious. My hubby had a fit when he didn't get part of it, so guess what is in the crockpot tonight? LOL And I can't wait to dig in either. Just glad I had 2 of them! Does anyone know if Walmart usually carries this? I looked on Walmart.com & it said out of stock. I have a feeling that they don't carry it anymore. Is there a chicken option? I love this idea….want to have variety! This recipe was pretty good. But just using the Sweet and Spicy rub, it was definitely to hot, you didn't taste any of the sweet, I definitely ended up adding about 1/2 of barbecue sauce to it. Was good then. Where do you buy the rub? Why would you discard the excess juice from the crock pot before shredding? I made this yesterday. Soooooo good! The cranberries and apples made it extra special. I also used Splenda, as several of the comments said they did. Delicious! Take 1 package (14 to 16 oz) beef smoked sausage rings, cut into 1/2-inch slices. In 10-inch skillet over medium heat, cook sausage slices until heated through and crisp around edges. Assemble you sandwich ! pulled pork, sausage, cole slaw. and pickles. Now you have a double meat dudewich. Do you add any liquid at all to the crock? No – none. The pork has a lot and it cooks perfectly! Gosh, that looks so good! Will have to keep my eyes open for the spice rub on my next shopping trip. 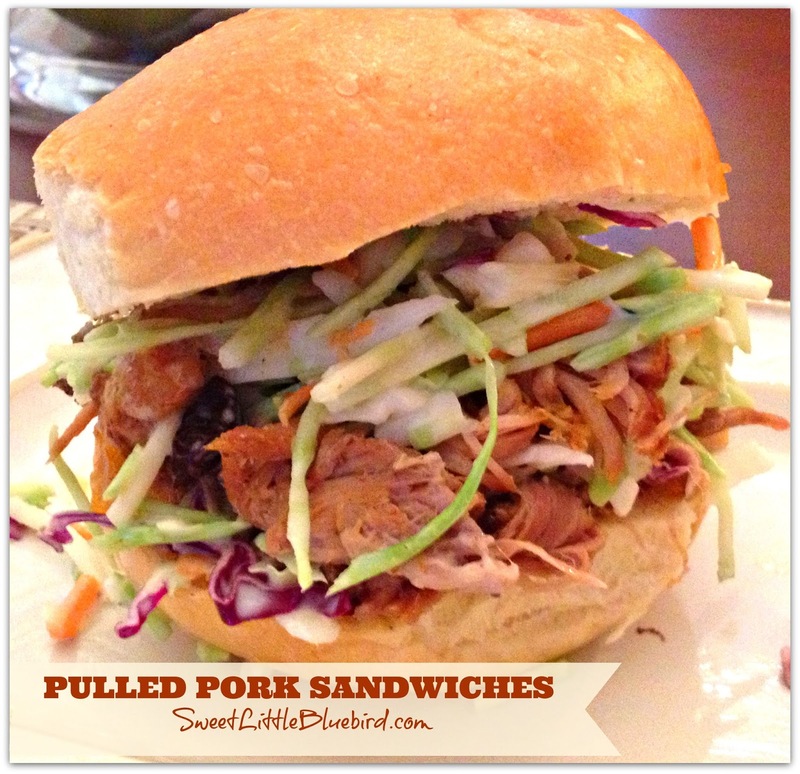 My family loves pulled piggy sammies! TFS. 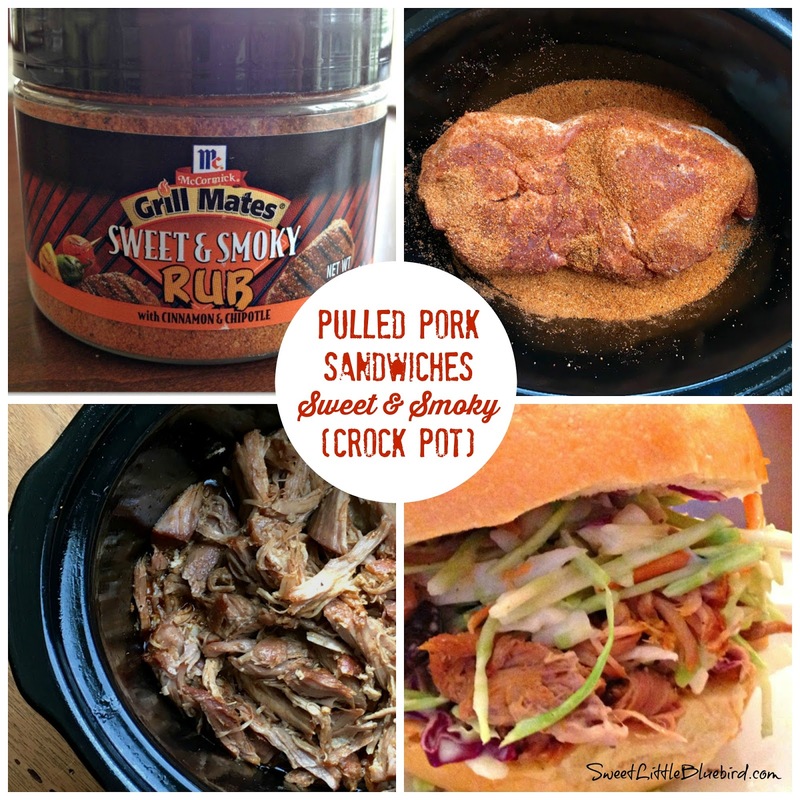 I love a good crockpot recipe and I also love pulled pork! Now to get some of that seasoning and I'm trying this! Love putting the coleslaw right on my sandwich too! Mary you have to know I am going to make this. Sounds so good!!!! I love the ingredients also…two! Sounds amazingly, and simply, yummy! Thanks to your sister for a great recipe and thanks to you, Mary, for sharing it with all of us!! This will certainly be added to our upcoming menu list. Oh yum Mary, I love pork!